_"The Faust legend is a conglomerate of anonymous popular traditions, largely of mediæval origin, which in the latter part of the sixteenth century came to be associated with an actual individual of the name of Faustus whose notorious career during the first four decades of the century, as a pseudoscientific mountebank, juggler, and magician, can be traced through various parts of Germany. The “Faust Book” of 1587, the earliest collection of these tales, is of prevailingly theological character. It represents Faust as a sinner and reprobate, and it holds up his compact with Mephistopheles and his subsequent damnation as an example of human recklessness and as a warning to the faithful to cling to the orthodox means of Christian salvation." First published in Germany in 1587, the Faust Book told the story of Dr. Faustus, a scholar who sold his soul to the Devil for knowledge and power. Translated shortly thereafter into English, the book inspired Christopher Marlowe's masterpiece, Doctor Faustus. This edition for the general reader presents the English Faust Book with modernized spelling and punctuation. 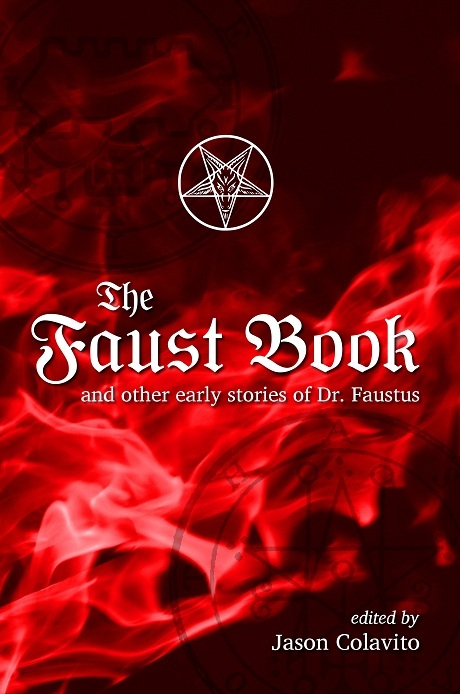 This edition also includes a selection of earlier texts documenting the life of the real Dr. Faustus and some of the ancient and medieval legends that contributed to the Faust myth--a tale that became a foundational myth for Western Civilization.